Rough first draft of my TCG called SUPERHUMAN. If any of my artist friends, Anthony Hary, or anyone else wants to donate art, let me know. I still have a lot of work to do, specifically finding the right patterns and styles for the backgrounds, but for now I am using basic colored paper style. The symbols mean that those character get a bonus evolution if the same energy type is used. So a Native American can be an evil scientist, but if they follow the path of magic, they will get a bonus that cops don’t get. What do you do when you have pages of unused artwork from comics that will never see print? Make a trading card game! What else? 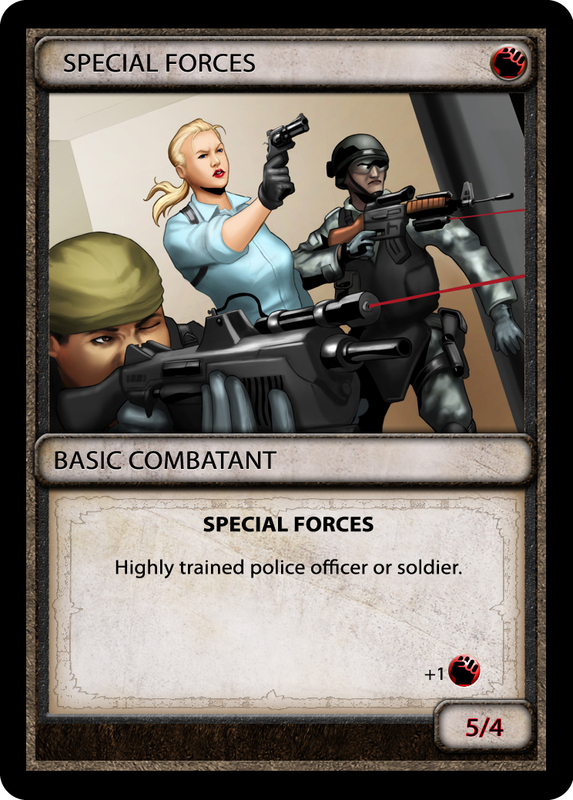 Tomorrow I begin putting together a starter deck for a trading card game I am making called SUPERHUMAN! In SUPERHUMAN! you are chosen to become a hero or villain! Start as one of six regular humans: A police officer, a gangster, doctor, college student, lawyer, genius, or a terrorist. Armed with a series of EVOLUTION cards, turn your hero into a SUPERHUMAN and defeat your enemy! Perhaps the college student will learn COMBAT SKILLS and learn to attack from the shadows. Perhaps your genius intellect allows you to CLONE yourself. Continue evolving, or create other SUPERHUMANS in your HQ. Force your opponent to surrender, or when your opponent runs out of cards, you win! Each set will have a hero card, an established SUPERHUMAN who cannot evolve but who has great power. In the first set that character is none other than THE BLACK TERROR. Perhaps you can find the SIDEKICK card and make an unstoppable team, or perhaps your SIDEKICK can support one of your evolved heroes! The choice is yours. In the starter there are four methods to evolve your characters with; Science, Magic, Combat and Cosmic. Giving the right character the right “energy” can give you the advantage you need. 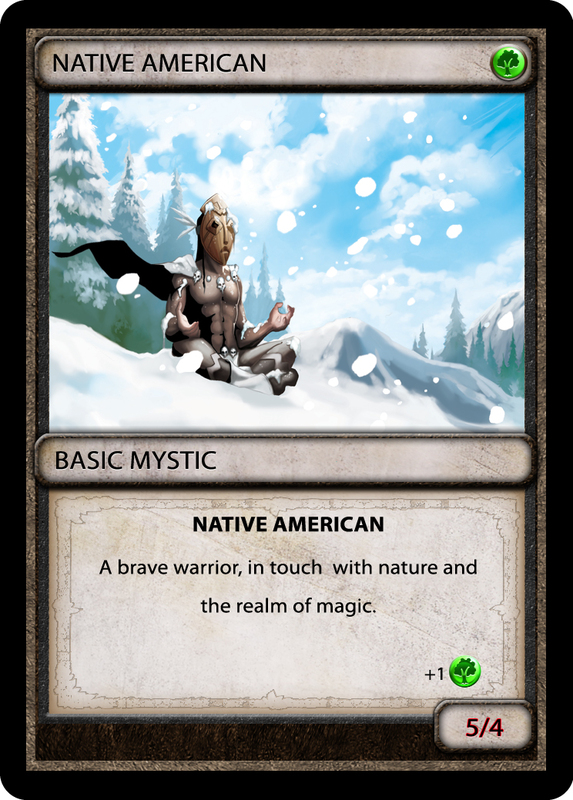 But there are also DESTINY cards to watch out for, that can alter the evolution of your SUPERHUMAN! If that’s not enough, there are powerful items that can take your SUPERHUMAN to the next level. A terrorist wielding the hammer of Thor, protected by a force field? Anything is possible! Once the cards are done, I’ll be doing some play testing, trying to figure out how it feels to play. Hopefully finding a printer won’t be too difficult. All in all, the set will feature sixty cards, enough for two players to start. My goal is if I can get the game off the ground, to add in superheroes/villains from other comic creators in special sets. Each character will have attack and defense stats like Magic, but with the “energy” system of Pokemon TCG. There will be no life or damage markers, instead the hero card must be removed from play or they will heal and start the next round with full life (also like Magic). Looking For a Kindle Worlds Publisher? I’ve been itching to write some Kindle Worlds stories from the day they announced the project but being in Canada means I am not (yet) eligible. I am looking for a publisher that works with Kindle Worlds authors and may be interested in stories about : Shadowman, The Vampire Diaries and/or GI Joe. I want to write character specific stories; focusing mainly on one character from those famous franchises and getting to know them a little better. Of course Amazon doesn’t allow anyone to become a publishing house for their Kindle Worlds licensed stories, so there are no real publishers to partner with. So I am stuck in limbo, waiting until they go global for my opportunity to write stories about Damon Salvatore and Snake Eyes. Anyone have any ideas? News on Kindle Worlds? UPDATE: So I found out all I need is U.S. bank account for any profits off the books. Getting paid is stopping me from writing. . . . who can you trust with a bank account?? So I’ve decided to once again attempt to quit Facebook. In all honesty, it has been harder than cigarettes by x1000. I think some of us get addicted to things like Facebook for much the same reason we have addictions to anything; it produces a quick, little moment of euphoria. We like to know we’re needed and liked and we find that quick buzz of self-gratification when we see people posting messages for us online. We also like the spectacle of outrage, when we can jump in and act indignant. After eight years I’ve come to the point where I absolutely despise Facebook and the way people act on there. Truth is, most people really shouldn’t be interacting with each other. 50 year old veterans are not going to have anything in common with a 20-something college girl and shouldn’t be debating with them on topics like abortion. A white 60 year old mother of four really should have something better to do than discussing black on black crime with guys who pose giving gang signs. In real life, you tend to move in herds, either with your family, your social group or your career. You go for lunch with co-workers, not the people who work for the local pharmacy, or have a coffee with another person in the factory, not the CEO of your competitor. The people you meet then have some basis of identifying what kind of person you are or at the very least can appreciate your position in the herd. With Facebook, that basic level of respect and community is gone. What you have is people who have no qualifications, no experiences, no knowledge of particular subjects all throwing around theories and condemnations about issues that are beyond their realm of reality. Everybody is an expert on everything, and the real experts are ridiculed or ignored. It’s a strange, weird, way of interacting with each other, a method that I find depressing and infuriating. The only people who seem to really thrive on Facebook and find any joy in it are those who have some level of success; with loyal fans as friends, you get a lot more positive feedback. In my case, the entire thing was nothing more than a huge drain of my time that could have been spent writing. I don’t recall one “Facebook Friend” out of three or four hundred people, ever buying any of my books. I have had people contact me through Twitter and e-mail saying them bought them, but never anyone in my “social network”. I can count the number of times that important book posts were shared on my fingers. Now I don’t expect people to buy the books, but I kind of hoped that since I spent 8 years online telling people how great someone’s work was, that they would at least reciprocate that easy little bit of promotion. Nope. Hell, at this point I’d have been lucky to get someone to hit like button. My family will be able to keep in touch through my wife’s page and anyone who is an actual fan of my work will be able to contact me at any time. I put my e-mail address in every book. Those who actually were friends should have no problem finding and contacting me, but as far as I know, I don’t actually have any. I have acquaintances who I am close with that work together with me on certain projects, people that I have a lot of respect for, but those people live all over the world. Hopefully they’ll still follow my blog, Twitter and Google + site. I’m tired of Kickstarter requests, tired of being tagged in other people’s work, tired of political debates, tired of white people who post about black crimes every day but deny their racism (I am pretty sure that calling the dead kids of the colored community thugs who deserved it is some kind of racism). I am tired of people half my age with half my IQ trying to debate issues with me based on their feelings, tired of being bombarded with promos for other people’s projects or from companies I have interest in supporting. I’m tired of being called negative because I have standards and convictions that make other people feel bad. I’m tired of believing in personal responsibility and having to fight with people because I won’t march in their self-pity parade, or because I defend people being attacked because of their beliefs. Homophobes and racists still have a right to their own feelings and thoughts and guess what? They are protected from abuse and bullying too, no matter how many people may want to see them hanging. If they aren’t bothering anyone, why should they be bothered? Yes, this is a long ranting post, but I feel that the more I share my disgust with Facebook and the people who called themselves “Friends”, the less likely I am to go back. Now here’s where I take it a step further and really show what a jerk I am: I am also cancelling all collaborations and partnerships I have with anyone. Any scripts I wrote for anyone that haven’t been published yet, I am taking back. Anyone I solicited to work with, sorry I bothered you, but I can’t continue forward. I don’t want to keep working on projects that go nowhere. I am only going to write my own books or take paying gigs. Few people ever come through for me and I am tired of waiting for collaborators who will never have the same dedication I have to my work. I’m not going away, I’m just scaling back. I’m sorry, people of Facebook, but I don’t want you and all your baggage in my life anymore. In fact, I’ve wasted enough time on this post, time to get back to the next LEGION book! Artifacts Follow-up? No, sorry. . . I am completely unmotivated to make comics. I apologize Claudia Balboni,Rob Doria and Anthony Hary. I was really excited when Artifacts came out that I could take a shot at making comics but I simply don’t have the confidence anymore in the industry or my luck. To those wondering why, when all three artists are fantastic creators, here is why: I can’t afford to pay them a page rate and I don’t have the confidence in my ability to come up with a pitch that publishers will like. I am certain that I could make great stories, but no one is going to cover the cost and I cannot do it myself. I no longer have it in me to wrangle and seduce such high caliber artists when I no that even if the submission gets made, it might never get published. I just can’t take seeing another batch of artwork rotting in a digital cell somewhere. I’ve got too many past submissions that are mocking me to want to waste the time of the artists anymore. Even if we did get picked up, what are the chances of making money? Slim to none. Sure, we might break even and if there was extra money, that would go to the artist, or the art team or letterers or someone else other than me. I just don’t have the energy to shovel coal into the creative furnace just to stay in the same place or move an couple inches forward. I don’t have enough faith in my abilities or the industry to expect an artist to shovel the coal to move my train that doesn’t seem to go anywhere. . . Sorry guys, the best I can do is keep promoting your work and I hope you can find a collaborator with deep pockets and high hopes! Even IF we were to get the five page submission package ready, I’d still have to write the pitch itself and then who would I send it to? Most comic publishers aren’t taking submissions and those that are, aren’t offering any money or aren’t big enough to have a budget that can even promote the book. Getting noticed and breaking even isn’t good enough anymore and in all honesty what affect will producing another comic have? I’ve got two issues of the Legion plus the Artifacts book from Top Cow and no one has contacted me about working for them. If all my novels don’t impress the comic publishers, why even bother? So I can write X-Men? So I can maybe get a book out that can piggyback on Kirkman’s Image books and get lost on the shelf with the Marvel/DC creators? It’s just not a healthy industry for newcomers and I just don’t have it in me to waste the time anymore on a girl who doesn’t like me when the books are treating me so well. . . . The Corrupter is now available through Smashwords. It took some time to get that book formatted right for their server. Price is the same as Amazon, $3.00. I am going to try and finish the Legion Book 3 in time for Halloween. Fingers crossed over here! I’ve also started writing SPIRA, my first fantasy novel, which is quite exciting. It’s always fun to start a whole new series, especially when it is in a new genre. I never understood authors who only write one genre, even Stephen King, who dominates in horror, still tries his hand at sci-fi and straight fiction sometimes. There is a blog featuring some extras and short tales about SPIRA and the larger world it occupies. It involves a missing royal family, two feuding empires, a terrible secret and a hero who is master of stone magic and a heroine who wants desperately to find a mythical treasure. Magic will be a major factor in the book, more than in the Game of Thrones TV series but less than a typical Dragonlance book. Most of my knowledge of magic comes from D&D and Palladium games, so magic will have very clear rules, even if they aren’t explained right away. Magic takes energy, personal energy that everyone has but that magic users adapt to specific ways. All magic requires fuel, but how and where that fuel comes from depends on the skills and backgrounds of the caster. 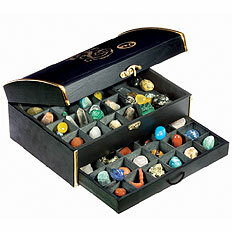 For some, it is stones, for others, it is their soul or ‘chi’. . . .
You guys are aware I have a website, right? It’s just like this page but with a soundtrack and a store. Check out the library while you are there, there is always a free story, either from me or one of the writers I like whose work is in the public domain. The Corrupter is now available from Smashwords and Google Play. 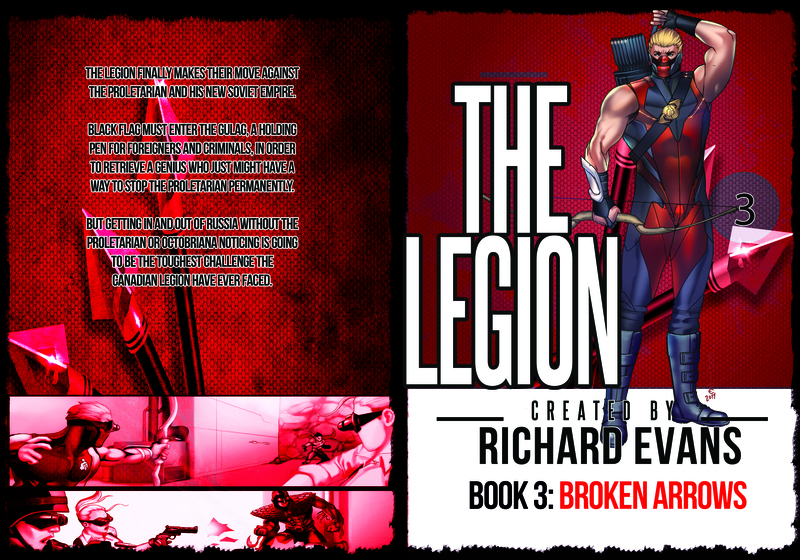 Legion Book 1 & 2 as well as the Corrupter have all been streamlined for a better reading experience. I kept the fonts and design aspects for the print books, but the digital books are now easier to load and manage across different devices. The misalignment of Chapter 14 of the Corrupter has been fixed as well. I decided to add chapter breaks into the Legion novels and clean up some of the layout problems I was having with the Kindle copies. If you’ve already purchased the books they should update automatically, if not, now would be a good time to try them out!